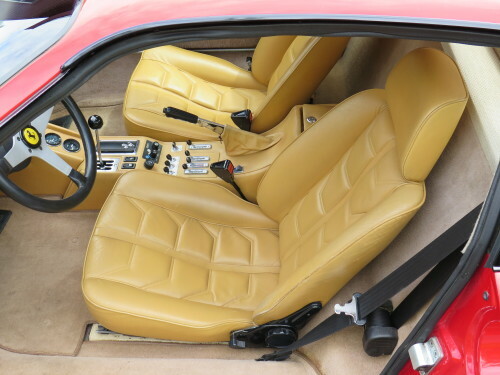 This ’79 308 GTS is a really sweet example of the iconic “Magnum PI” Ferrari, i’m sure you’re all wishing yourselves as Tom Sellick in the drivers seat even if isn’t the ubiquitous Rosso Corse! 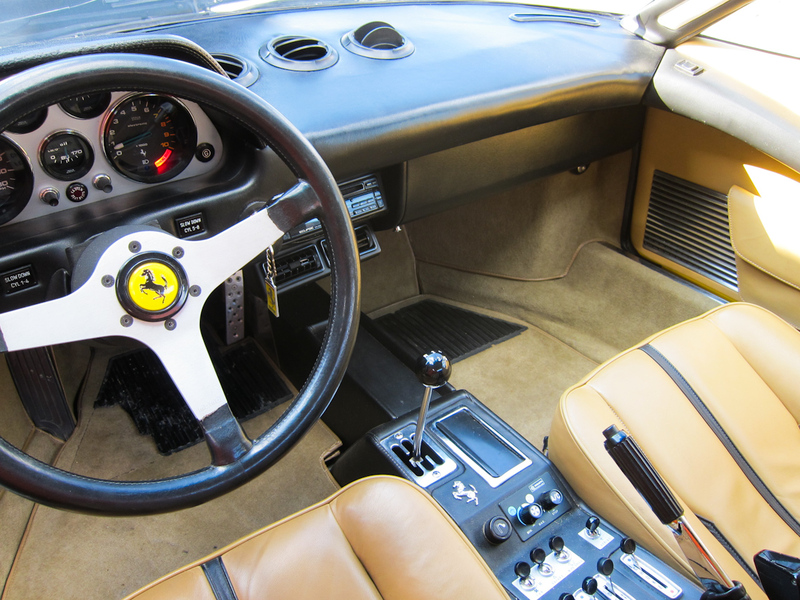 Of course, a 308 is undoubtedly the easiest way to enjoy a Ferrari, but the overall condition of this one ensures that it’s also one of the smartest ways to enjoy a Ferrari. 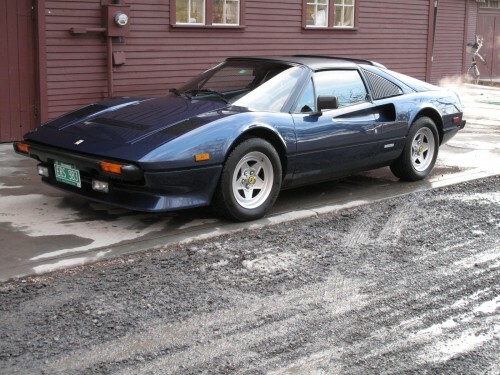 Production of the 308 followed the 246 Dino and shares much of the excitement of it’s predecessor- The exaggerated long “buttress” behind the cabin, truncated nose and air inlet ducts that cover nearly 1/3 of the length of the car, all seem to be updated and angular versions of the 246. 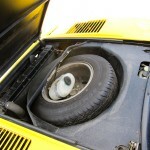 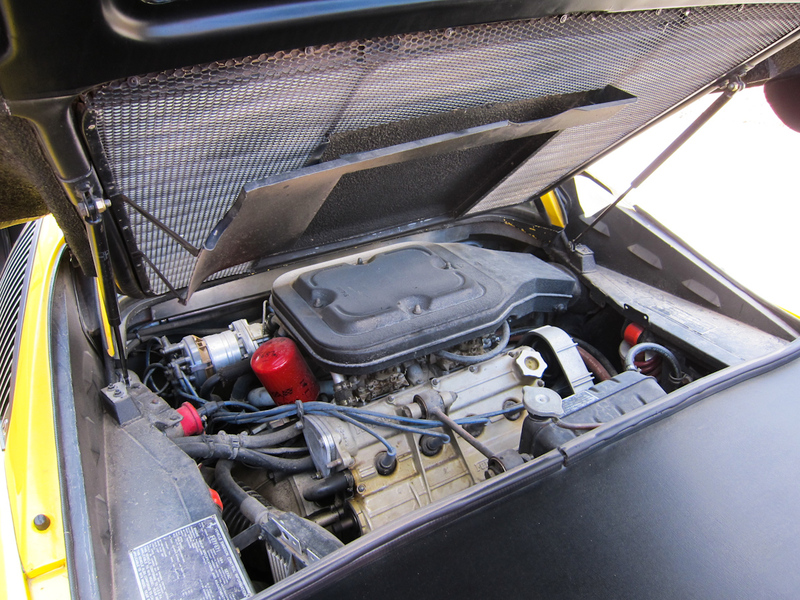 However, these air inlet ducts feed a 240 horsepower, 3 liter V8 which coupled with suspension and gearbox changes add a significant dose of refinement. 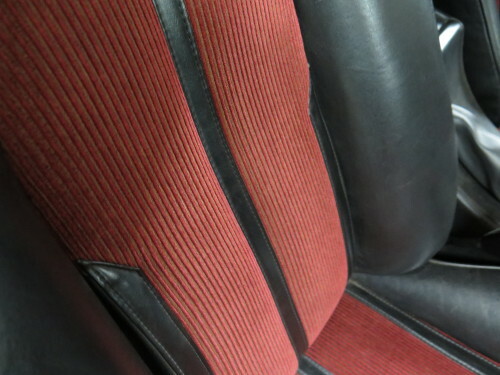 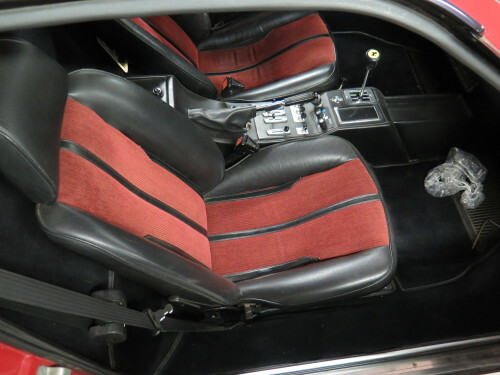 The interior of this car has supple, tan leather, that looks as new as that of a 2009 model as opposed to 1979. 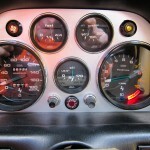 The chrome shift gate and mechanical switch gear showcase the motoring purpose of the car as well as the full set of gauges in the instrument cluster. 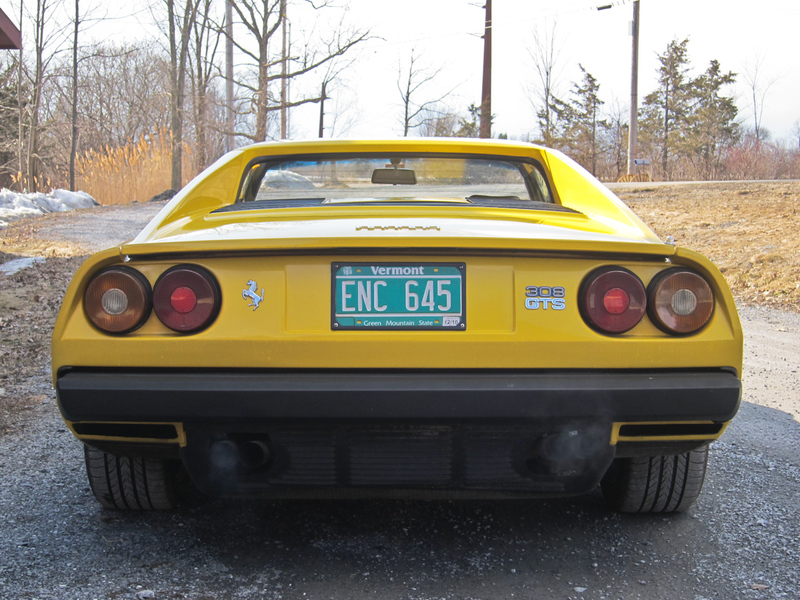 Like the 308 GTB, the GTS model is a Pininfarina designed – Scaglietti built “targa” featuring a removable roof panel and louvers in the rear 1/4 windows instead of glass. 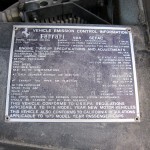 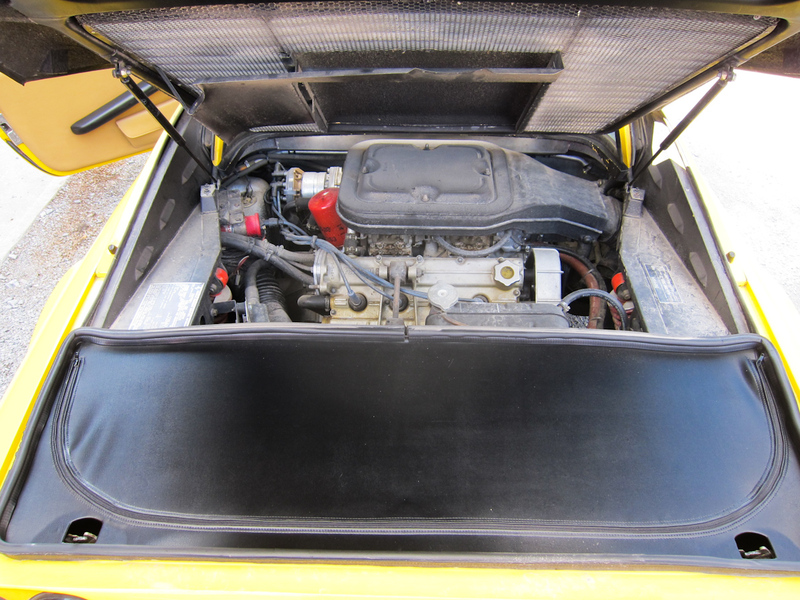 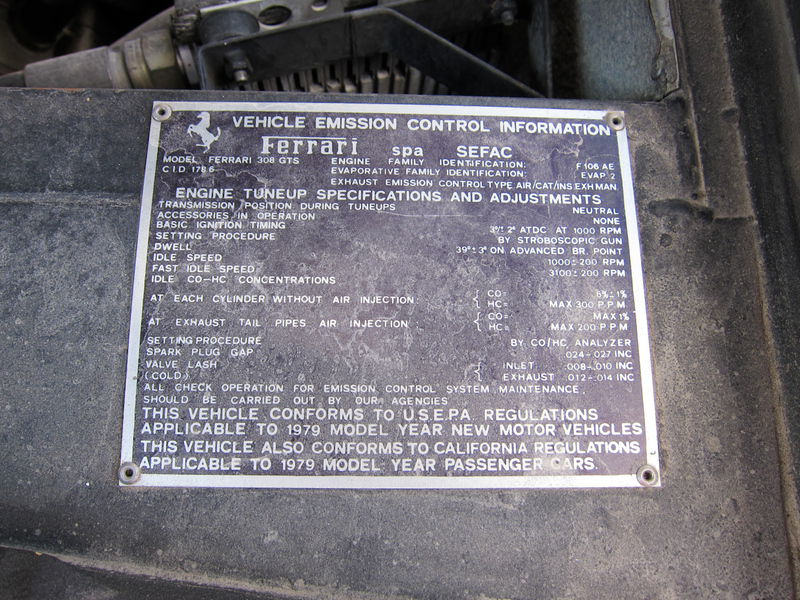 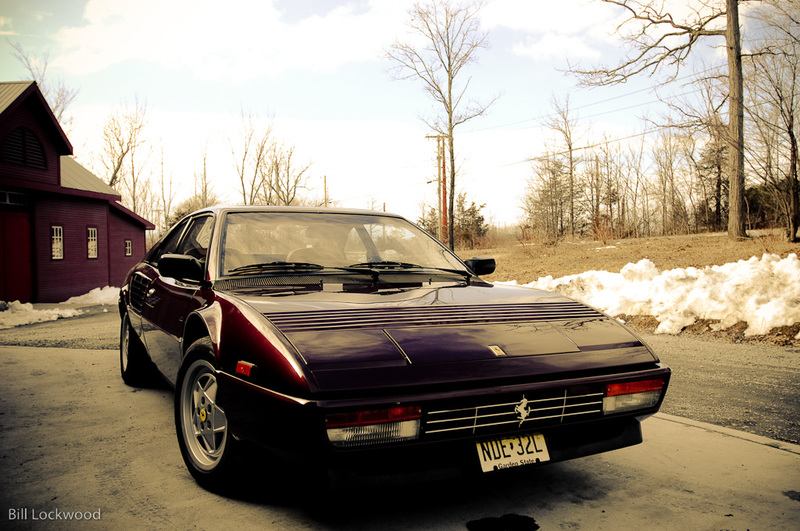 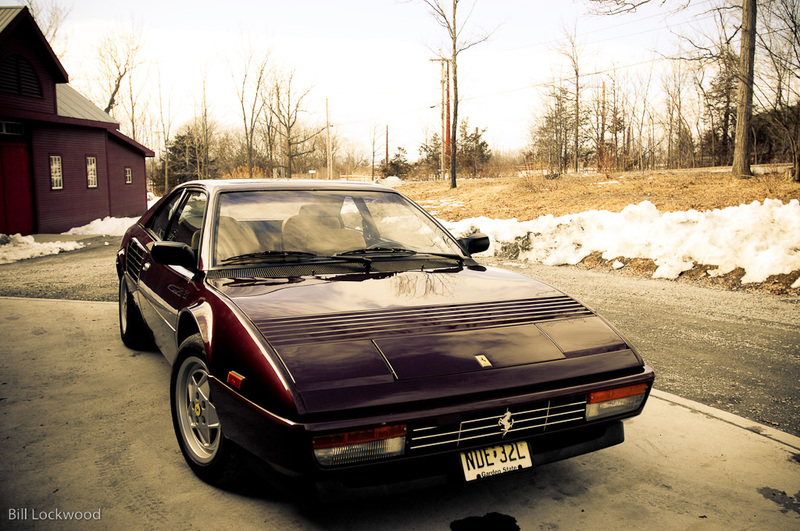 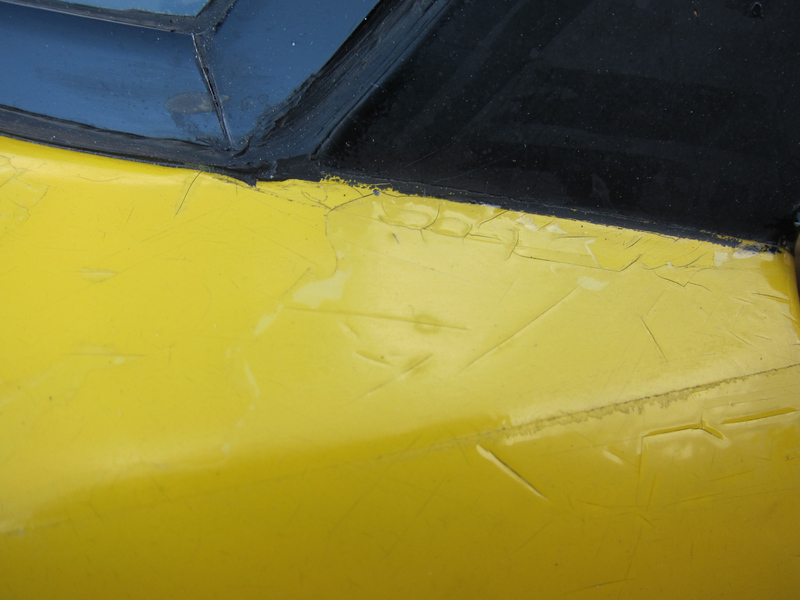 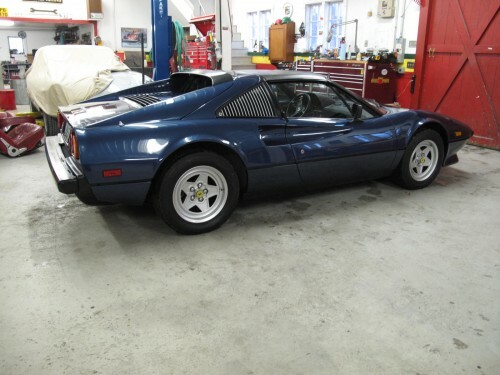 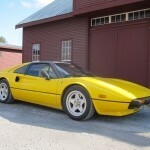 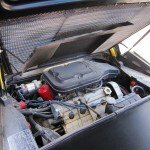 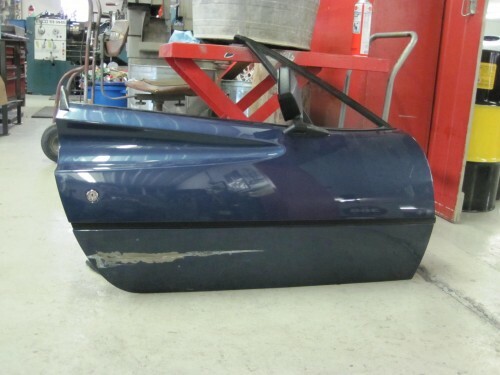 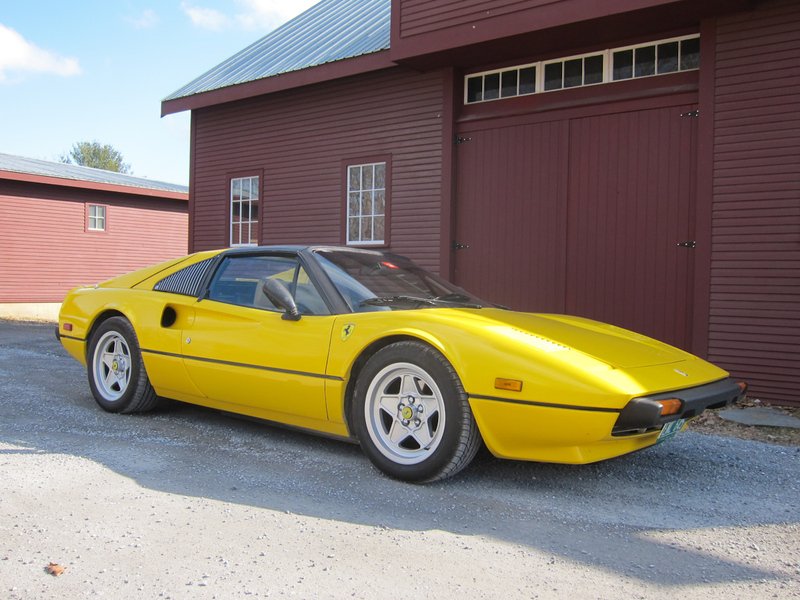 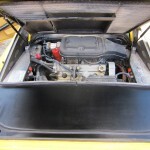 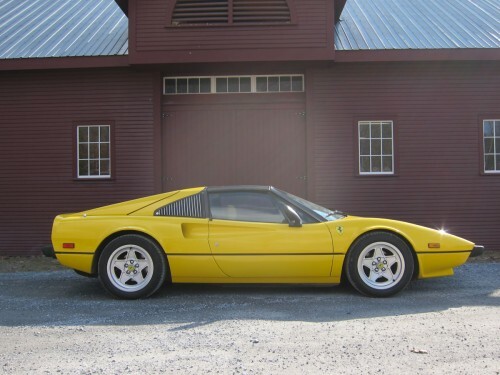 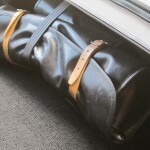 Mechanically, this 308 is in outstanding condition with a few key updates. 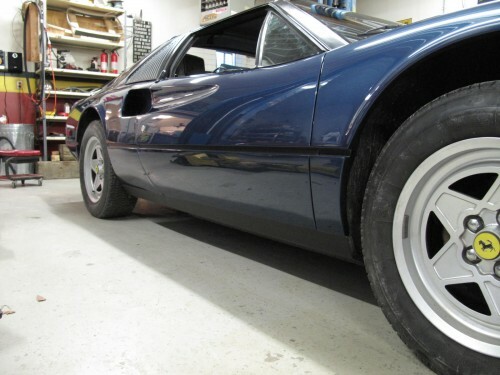 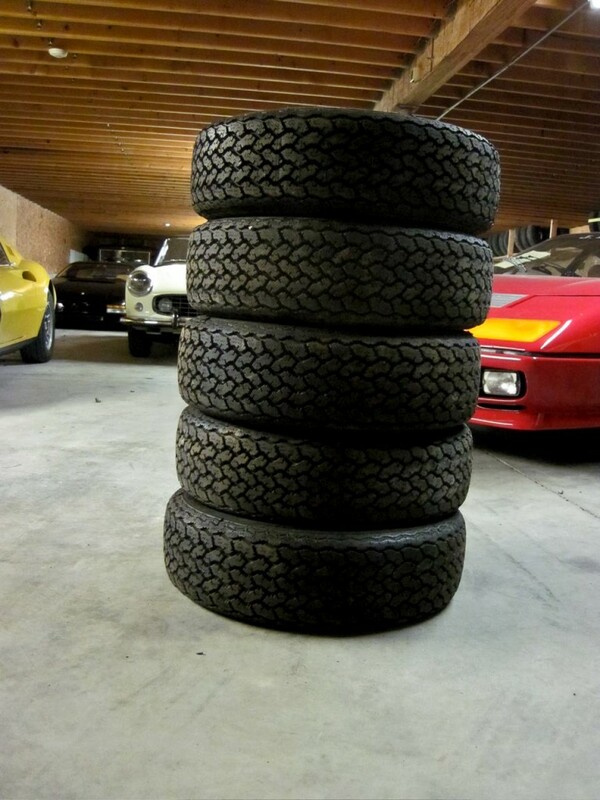 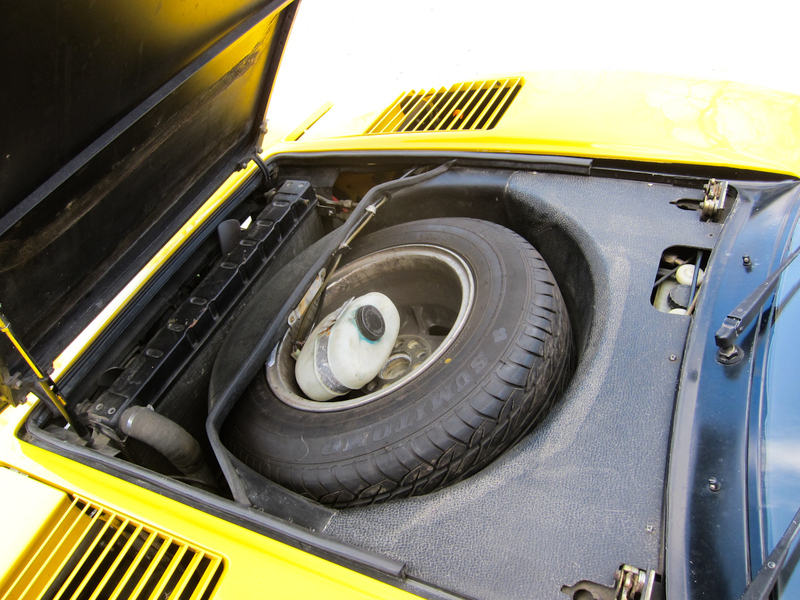 The first being a set of larger 16″ wheels and tires that really improve handling over the 14″ set up that came from the factory in the late seventies. 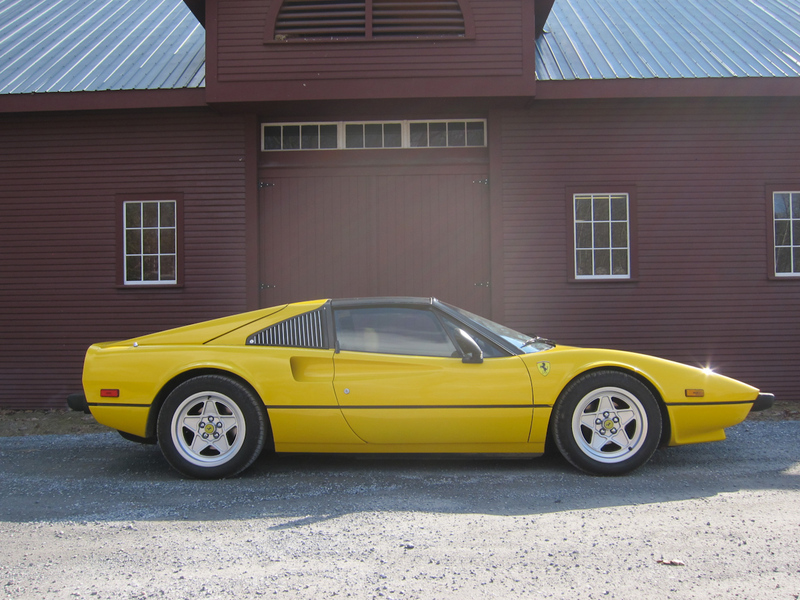 We overhauled and modified the factory KONI shocks with adjustable ride height equipment in combination with Eibach Performance springs. 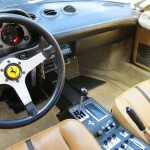 The other main update is the conversion to a single distributor from the dual-distributor set up. 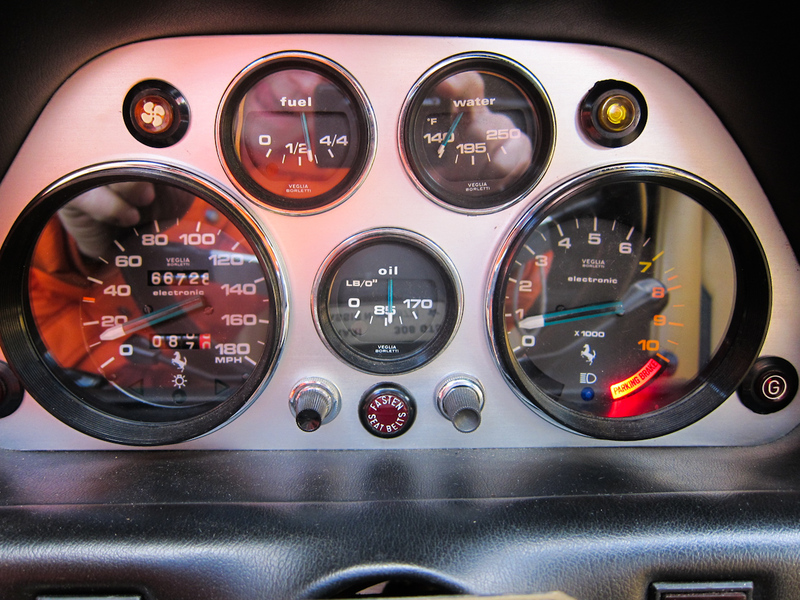 This simplifies the ignition system, makes the advance curve more progressive as well as making it more reliable (and cheaper) using a Ford style cap and MSD electronics. The Ferrari Mondial was produced from 1980 to 1993 and superseded the 308. The 2+2 was introduced as a car suitable for daily driving, built on a steel frame, and adorned with a Pininfarina designed and Scaglietti produced body. 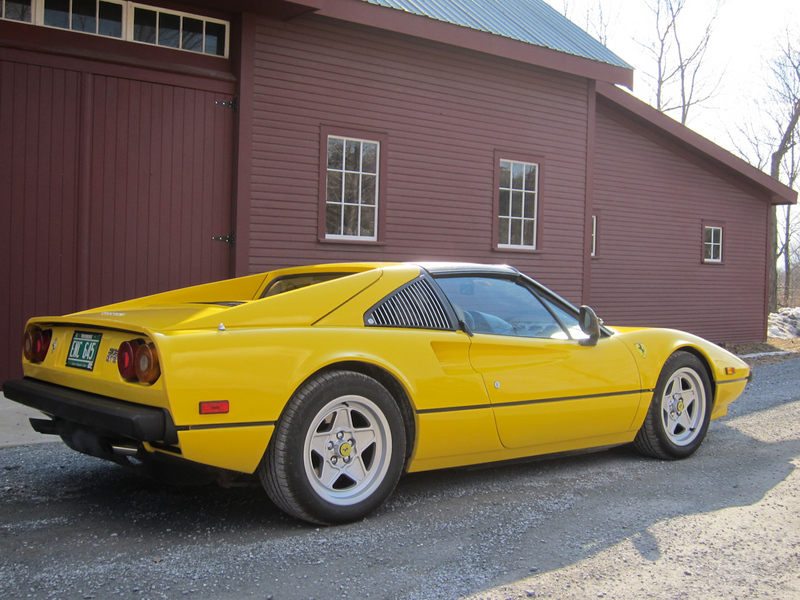 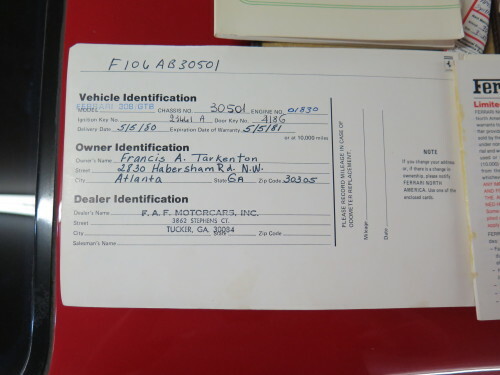 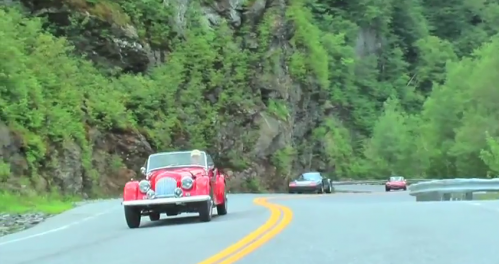 Nearly 7,000 of these cars were produced in a number of variations. 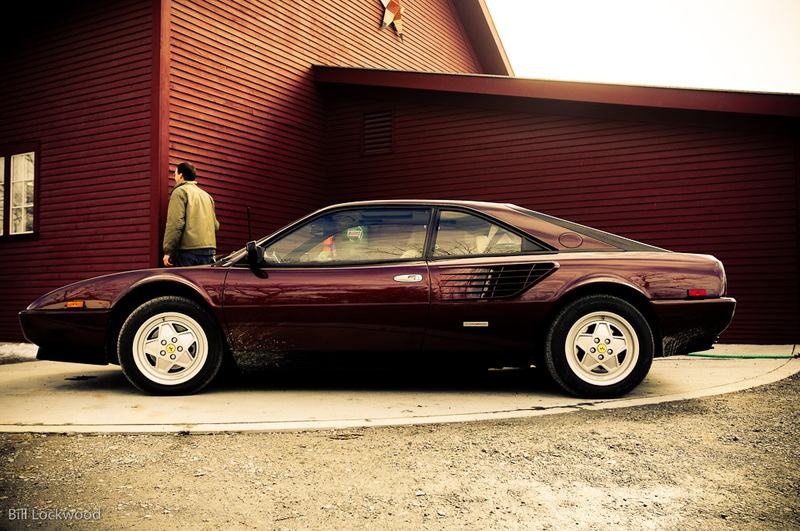 The Mondial 3.2 is the last variation to share the transverse engine and transmission of the 308 before it. 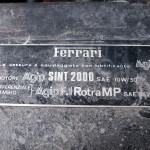 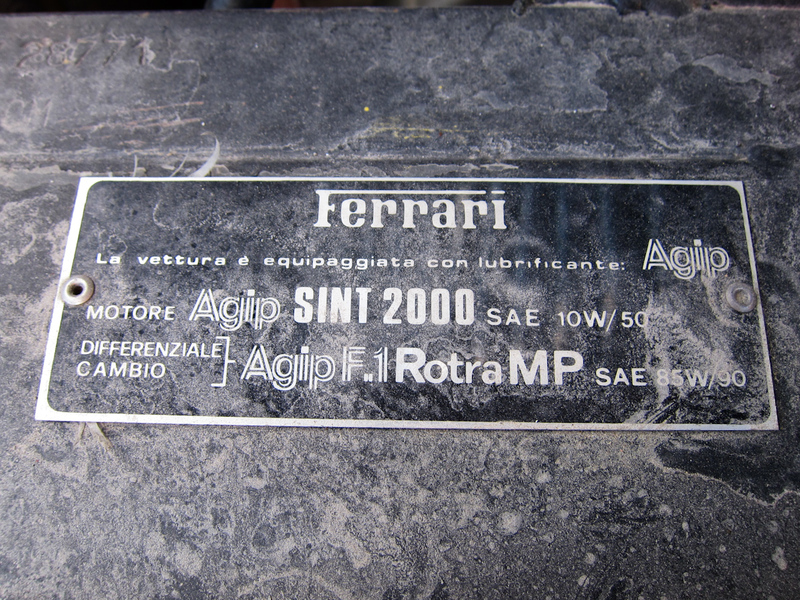 After the Mondial 3.2, Ferrari changed the “Mondial t” engine mounting to longitudinal though the transmission remained transverse. 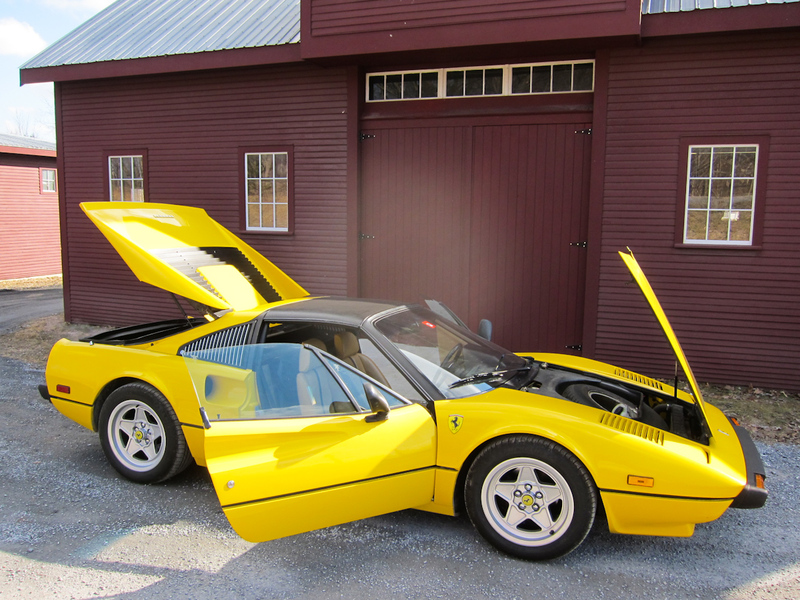 The car is positioned here on the slab in front of the shop for a quick wash on a warm spring day. 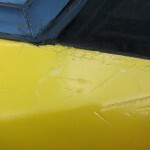 Snow banks remain in the background. 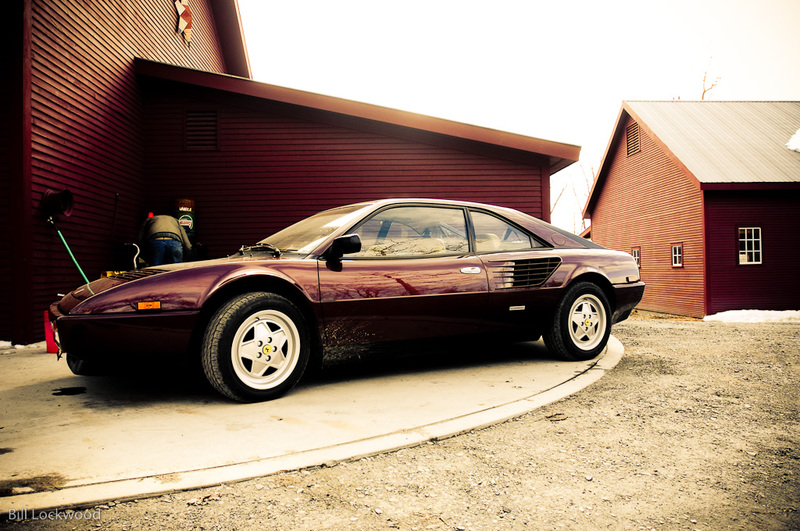 The deep maroon body of the Mondial hints slightly at purple – and though unique, the color is factory original Rosso Prugna. 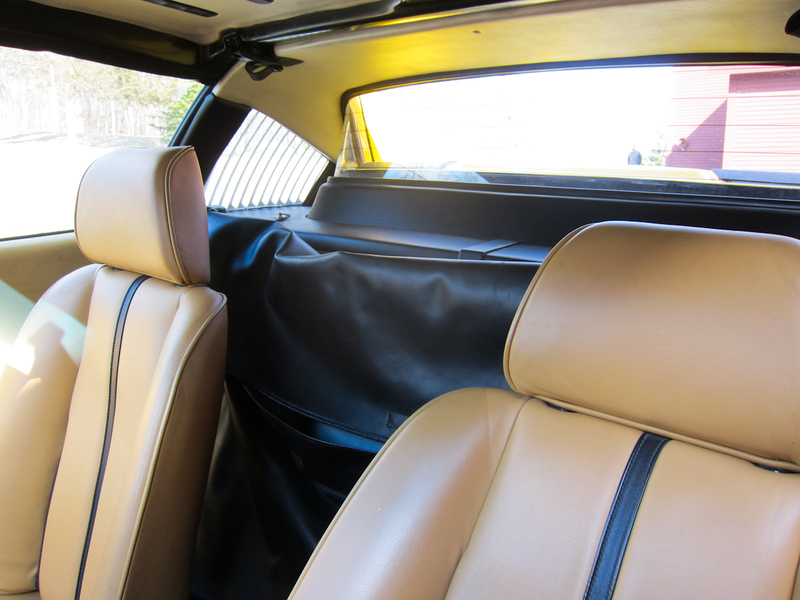 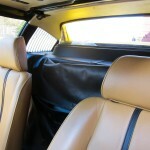 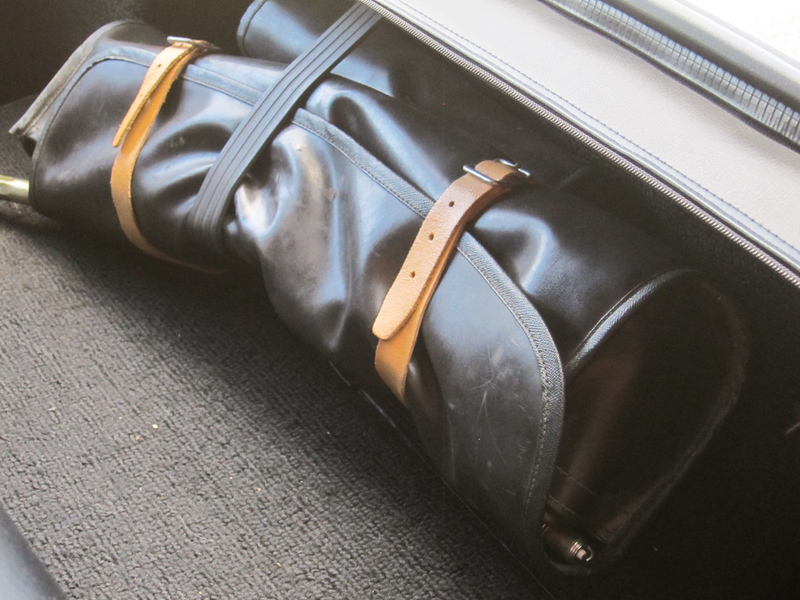 Inside the car is an incredibly clean interior, with full books, tools, and records. 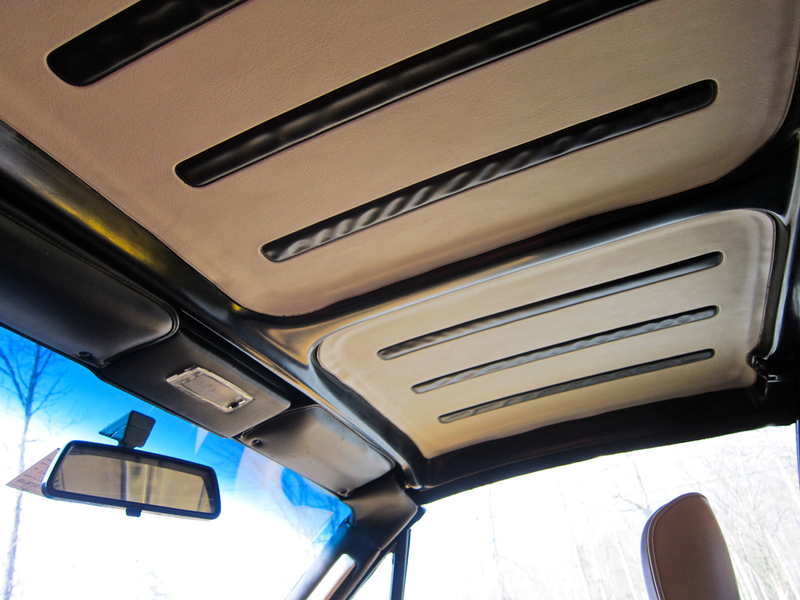 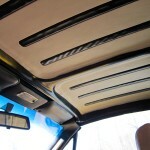 The sunroof and air conditioning work as well. 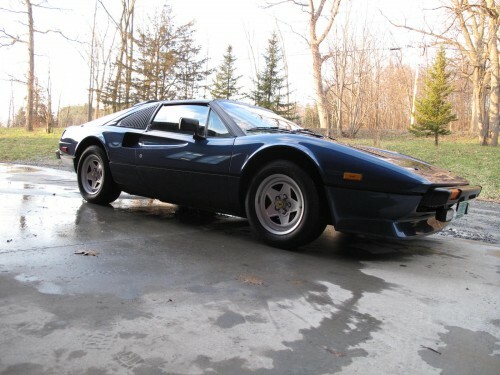 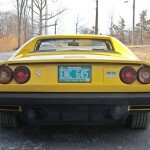 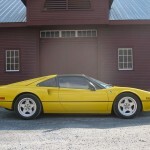 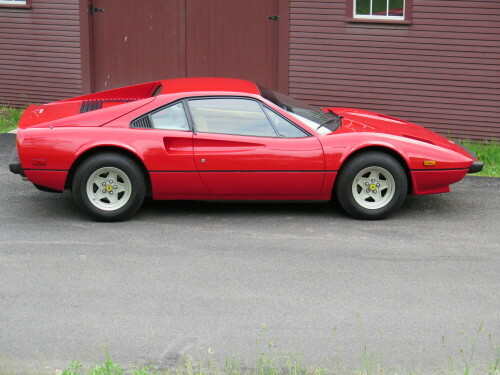 This 1986 Mondial is a very drivable Ferrari, with 43,000 miles on the clock, with the stunning looks of a car with only ten or thirteen thousand. 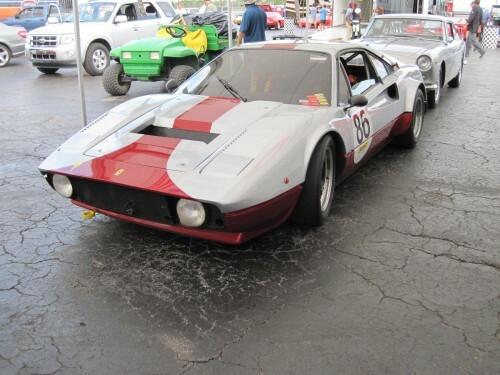 Another nice group 4 competition car, a Michelotto 308 GTB. 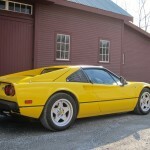 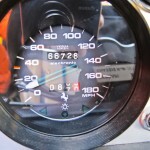 This car was dicing with a competition 365 GTB/4 Daytona on Friday and even with the advantage of cubic inches, the Daytona could not shake the 308. 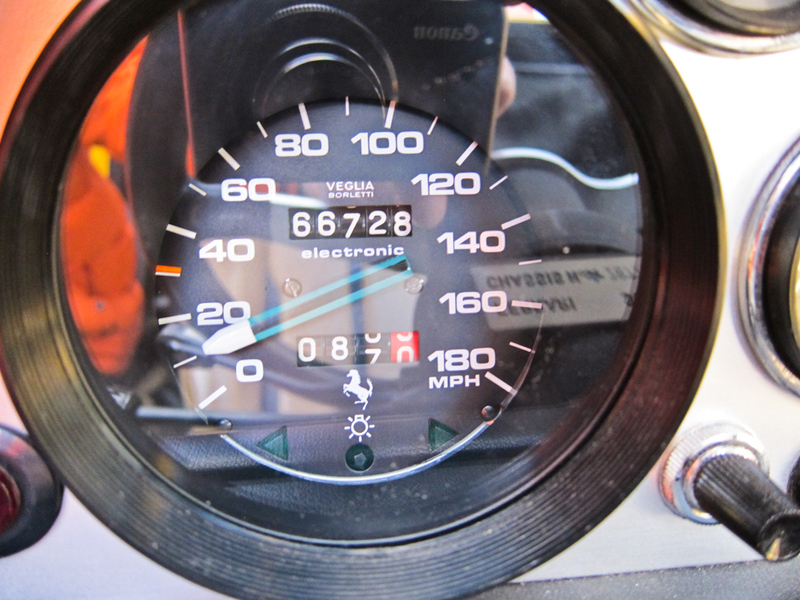 I was so impressed with the driving skill and enjoyed one of the best shows I have seen in vintage racing in a long time.